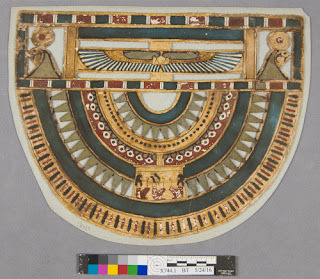 Many objects within the Brooklyn Museum collection were found on excavations including this beautiful Ancient Egyptian cartonnage dating to the 1st century B.C.E. The object arrived in the conservation lab for treatment for an upcoming exhibition in our Ancient Egyptian galleries. After close visual examination, something unusual was discovered in one area of the red pigment: a perfectly printed letter 'm' under some white fibers stuck to the top of the pigment. As this was clearly not original to the object, the fibers and printed 'm' offer evidence of what happened to this object after it was excavated. The red pigment, unlike the other colors, is shiny and unstable suggesting it was previously treated with an adhesive that is causing further damage. The attached fibers and printed 'm' would only transfer to the surface of the red pigment if it were wet or sticky suggesting the source of the letter 'm' was placed on top of the object while the adhesive was still wet. 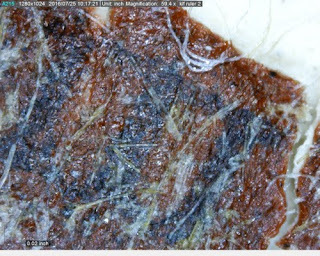 Close visual examination as well as knowledge of the materials in which objects were packed on excavation suggested the fibers were from paper. 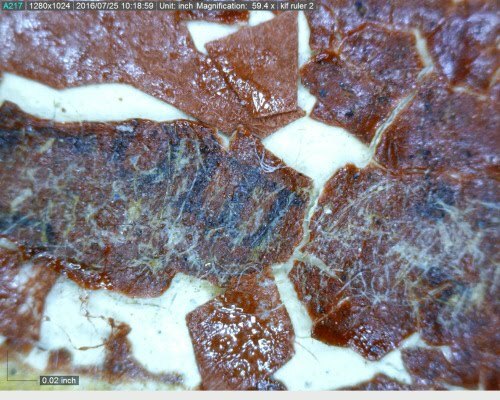 After consultation with the paper conservators, the white fibers were tested for lignin, an organic polymer that helps form the structure of cell walls in wood and barks. This polymer reduces the strength of paper and is removed from high quality papers, but only minimally from low value paper items such as newspaper. The fibers tested positive indicating the object was likely consolidated with an adhesive and packed to be shipped from Egypt in contact with newsprint while the consolidant was still wet thereby allowing the transfer of the black printed 'm' and white fibers to the approximately 2,000 year old red pigment. As the museum has no record of any previous restoration, the white fibers and letter 'm' are some of the only remaining evidence we have of this object's more recent history. The object has been treated and will be on display in the fall. Egypt's antiquities ministry has launched a competition on its Facebook page to select a "piece of the month" from thirteen different ancient Egyptian artefacts from the collections of the Egyptian Museum. 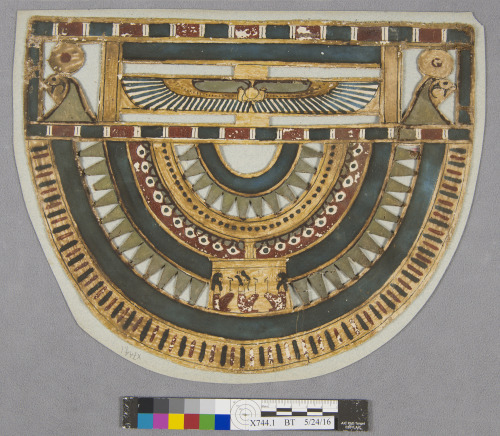 Last month the ministry began a new practice of sharing a set of artefacts from the museum on its page and asking followers to select one as the "piece of the month." Elham Salah, head of the Museum Section at the ministry, said that the selected pieces of this month include children toys such as puzzles, a statue of Ra-Hotep and his wife from the fourth dynasty (2613 to 2494 BC), a piece of leather decorated with a hunting scene, as well as a collection of pots for cosmetics. British grenadiers, of course, made their own military mark on the history of Bangladesh; and writers of the famous Roman and Greek classical period of Europe also made theirs. Writing, in some cases, over 2,000 years ago, they presented a reality of their age, of familiarity with the lands that are now those of Bangladesh. As well as of being as fascinating with perhaps even greater worldwide familiarity than today's Bangladesh. How ironic, in the age of information. I wonder, in those ancient times, how often writers were asked, "Where is Gangaridai?" compared with how often I am asked today, "Where is Bangladesh?" There can, indeed, be little doubt that the educated, and especially, the traders and merchants, were familiar with not only Gangaridai, but also its location, and that of lands beyond. Deep into the Ganges basin, and north towards an inland city, called Thina, and the great difficulties in reaching it. However, the great Roman geographer late in the last century BCE, Strabo, writing in his famous work Geographia, comments: "Concerning those who sail from Egypt, even to the Ganges, they are but private citizens with no knowledge of the history of places they visit." The earliest known example of academic snobbery. It was a much valued destination, of that there can be little doubt. Poets, historians, and businessmen of the half millennium, known as the "classical period" of European history, wrote about its location and both its trade and, it seems, especially the military prowess of its people. Prowess that always, inevitably throughout human history, has involved wealth. Even with all the aids, technology, and progress of modern archaeology, and advances that have facilitated a better appreciation of such significant places and events in pre-history, we continue to be unable to take any definitive view on periods and locations of the emerging — we might say — embryonic, modern, commercially-based civilisation, that certainly emerged in these lands of Bangladesh over two millennia ago. Even the duration of the Kingdom of Gangaridai, if kingdom it was, is hazy. Was it a kingdom? 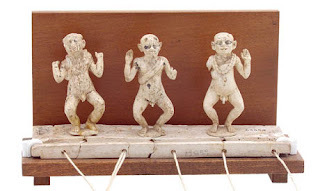 Archaeological development of appreciation of the very early Harappan civilisation further west suggests an absence of mansions and palaces in urban sites, which to some archaeologists suggests that some form of true democracy was an early form of governance. Around histories of Vanga, Magadha, and Mauryan periods swirl such questions; perhaps only Megasthenes' commentary of the Aleaxandrian invasion goes some way towards offering a definite period within the history of Gangaridai. Modern politics also thickens the swirling mists of time that have left us with dateable sites and artefacts, but no certainties. Gangaridai, we are told, were a people dwelling on the east side of the Ganges. Knowing as we do, the mobility of river courses in the Gangetic plains, even that fails to locate with certainty. Naturally, India, recognising the inevitability of archaeological and historical definition of the existence and significance, of Gangaridai internationally, have laid claim to a capital city close to Calcutta. Since that is a fringe of the delta, it seems an improbable claim. Within the lands of the delta, one modern claim is made for a location of the capital at Gopalganj; others suggest the site, with its 5km rampart on the banks of the Old Brahmaputra at Wari Bateshwar; or even Egarosindur, a largely unexplored site at Kishoreganj. Of Gangaridai however, we have early writers to thank for our certainty that it not only existed, but was, in its time, internationally significant, as a major crossroads of international trade and commerce. Megathenes was a traveller, born in modern Turkey, who arrived in the city of Pataliputra (modern Patna), capital of both Magadha and later, Mauryan Empires. Those who believe that Chandragupta, the first of the Mauryan Emperors, built the east/west Grand Trunk Road may well be as confused as historians seem to be about times and places, since Megasthenes is said to have arrived at Pataliputra along the "great" highway. Surely the Grand Trunk Road is said to have been constructed by Chandragupta? Or, perhaps, simply following the footprints of Alexander? However, it appears that he arrived there shortly after the failure of Alexander and his army to cross the Ganges, a crossing that — it may be reasonable to suppose, across a wide river, perhaps in flood — beyond which it was intended to seize the wealth of the flourishing trading centre with the lands of Gangaridai. Every army sought financial rewards for their endeavours, and Alexander's was, certainly, no exception. Whilst most of the great writers of Alexander's endeavour, over the subsequent seven or eight hundred years, write of his eventual failure, his military achievements before his death at the age of 32 still resonate down the centuries. Focusing on military issues, there are also mercantile and geographical commentaries that confirm the importance for perhaps as much as nearly a millennium, of Gangaridai, to a wider world. The world map, produced in the late 3rd century BCE by Eratosthenes, is remarkable for the evidently detailed knowledge of the Ganges and its major tributaries, such as Jamuna. Such maps reveal very evident sources of information, and familiarity with such destinations. Similarly, Strabo also shows great familiarity with the delta and its components in both his commentaries and cartography. The publication of mid 1st century CE, Periplus of the Erythaean Sea, a merchants guide to trade, not only provides detailed instructions for approaching the delta, but also prime items for trade. And, of course, Ptolemy, the great mid 2nd century CE cartographer, whose detailed sources for his remarkably accurate maps of the known world made his own map of the deltaic lands, with remarkable accuracy; including the mark of a settlement called Ramcu, exactly where Ramu stands, today. But it is the military historians that throw the most revealing light onto to sheer strength, in population numbers, military resources, and evidently, wealth that we may reasonably suppose derived from manufacturing and trade of the deltaic lands. The earliest writer, describing the military strength of Gangaridai, was of course Megasthenes, writing with the benefit of his experience of the geography; and, certainly familiarity around Patna, of those who could recall the circumstances of Alexander's advance. He describes a River Ganges, that faced Alexander's army, at least eight miles wide and 20 at its maximum, and an estimated 100 feet deep. The forces assembled to resist any attempt by Alexander to make a crossing, comprised, he wrote of 1,000 horses (interesting, considering horses were not native, and over subsequent centuries, until recent times, originated in Bhutan), 700 elephants, and 60,000 infantry ("in apparatus of war"). Diodorus Siculus, a Roman historian, writing in the second half of the last century BCE, may well have derived some of his information from Megasthenes. However, his estimate of assembled forces were far greater. "An army of 20,000 horses, 200,000 infantry, 2,000 chariots, and 4,000 elephants trained and equipped for war." All subsequent historians agree that the forces of Gangaridai had by far the largest number of war elephants in India. A very clear comment on the wealth and prowess of the military might of the "kingdom." More of them also increase the estimate of numbers; Quintus Curtius Rufus, Plutarch, and Pliny the Elder, as, like most Romans, great admirers of Alexander, may well have considered that only unbelievable geographic and military hurdles could possibly have daunted Alexander and his army. They, and others, such as the 3rd century Dionysius Periegetes, add geographic descriptions to their writing of what was for centuries regarded as the edge of the known world. Even Ptolemy's usually accurate mapping fails at mapping territories beyond east and south-east of the lands of Bangladesh. For them, it seems, Alexander did in fact march to the ends of the known world, only to be confronted by unsurpassable obstacles to further advance. Indeed might the old song go, "Some talk of Alexander," it was unquestionably the ill-fated attempt by Alexander to conquer the peoples and lands that are now Bangladesh to add to his, hitherto, unparalleled adventure in international conquest, that opened the ancient, early worldwide awareness of these lands of Bangladesh. To the successful rebuff by nature, and the power and courage of the peoples themselves, we owe such knowledge that has put early times in the lands of Bangladesh into the ancient history of world civilisation, and well as on some of the earliest maps of the world. For nearly a century, historians have argued about whether or not the events in Exodus actually took place, A new find in Israel may hold the key to a new explanation. When it comes to the prototypical villains of ancient literature, the Egyptians are right up there. Nobody, it seemed, really liked the ancient superpower. Ancient Greek romance novels routinely portray them as cunning and duplicitous. The Romans found Cleopatra to be equal parts captivating and conniving and, in the Bible, the Israelites were enslaved by the Pharaohs for centuries. A new discovery at Tel Hazor, a UNESCO World Heritage Site and one of the largest Biblical-era archaeological sites in Israel, may change how we think about the Egyptians. During excavations last week, archeologists discovered a 4,000-year-old fragment of a large limestone statue of an Egyptian official. Only the lower section of the statue survives, but it includes the official's foot and a few lines in Egyptian hieroglyphic script. The preliminary study of the artifact has not yet been completed, so archaeologists do not even know the official's name. Professor Amnon Ben-Tor of Hebrew University's Institute of Archaeology, who has worked at the site for over 27 years, told the Jerusalem Post that it is likely that the statue was originally placed at the official's tomb or in a temple. So far Tel Hazor is the only archaeological site in the Levant to have yielded any large Egyptian statues from the second millennium BCE. The only other is a sphinx fragment of the Egyptian Pharaoh Menkaure (known to the Greeks as Mycerinus) that dates to the 25th century BCE. In the Amarna period—a period of Egyptian history when the royal residence shifted to Akhetaten and Egyptian religion temporarily shifted towards monotheistic worship of the sun god Aten—most of Canaan (what would later be Israel) was under Egyptian control. 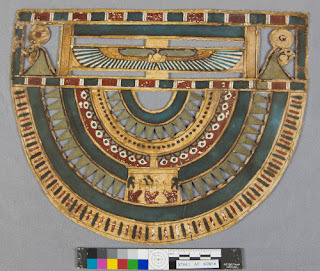 The latest finds are especially interesting because historians were unaware that Hazor was one of the Egyptian strongholds in this period or that there was ever an Egyptian official there. What's interesting about the Egyptian presence in Canaan in the second millennium is that it may make sense of one of the biggest mysteries of the Bible: Why does the Hebrew Bible highlight the oppression of the Israelites by Egypt when there is so little evidence for their enslavement there? The story, as told in the book of Exodus and Prince of Egypt, is that the Israelites came to Egypt because of famine. They initially prospered (think Joseph and his technicolor dreamcoat) only to be enslaved by later generations of Egyptians. There they remained until the birth of Moses, the 10 plagues, and the eventual emancipation of the Hebrews. Scholars have been skeptical about the historicity of the Exodus for over 70 years. In the first place the Egyptians, who were fairly remarkable record keepers, never refer to a mass exodus of slaves or even a large group of runaway slaves. To this we might add the lack of evidence for either a slaughter of Hebrew infant boys or the 10 plagues that befell the Egyptian people (during which the eldest son of every Egyptian family dies overnight). There's also no mention of Moses, even though his name is Egyptian in origin. Finally there's no archaeological evidence to support the idea of a mass exodus of people. When large groups of people traveled in the pre-eco-friendly age they left behind trash, and a lot of it. But there's no archaeological evidence for mass migration from Egypt to Israel: no pottery shards or Hebrew carvings. All of which is to say that if there was a historical enslavement in and subsequent exodus from Egypt it is highly unlikely that it was on the scale of the Biblical account. Perhaps small groups escaped slavery and came to the land that would become Israel, but certainly not 600,000 men (plus wives and children). Modern scholars like David Wolpe have been strongly attacked for making this argument, but, as Wolpe himself notes, this evidence doesn't negate the claims of modern Jews to the land of Israel. But it does raise an interesting historical question: If the Exodus didn't take place on an epic Charlton Heston scale, how does Egyptian oppression come to feature so prominently in the biblical narrative? When the story of the exodus was written down in the first millennium, the Israelites wouldn't have had any direct experience of Egyptian power for hundreds of years; in the meantime, the great empires of Assyria and Babylonia had come to power, drastically overshadowing any threat from Egypt. Why make the Egyptians the villains of the piece? Perhaps the biblical description of dominance by Egyptians actually has very little to do with enslavement and more to do with the cultural memory of the more distant Amarna period in Canaan. The Israelites were never subject to national enslavement in Egypt; but, as this new discovery reminds us, the land of Canaan was under the foot of Pharaonic authority. The long shadows of that experience might help explain why—in the absence of a historical Exodus—the biblical authors made the Egyptians the villains of their national epic. The Egyptian Ministry of Antiquities Scientific Publications Department is to issue two new peer-reviewed journals. The first is "Archaeology in Egypt" and is concerned with publishing archaeological fieldwork from expeditions working in Egypt across all periods. Minister of Antiquities Khaled El-Enany described the decision as "great" and an attempt to inform archaeologists and antiquities lovers on ongoing work in the different fields of archaeology, including discovery, conservation and site management. 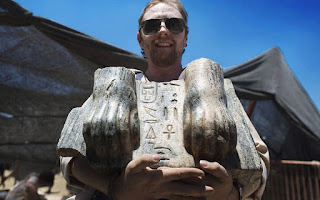 Hussein Abdel-Bassir, general supervisor of the Scientific Publications Department, told Ahram Online that the first journal on archaeological discoveries would appear in January and July of each year, while the second, on conservation, would appear once a year.